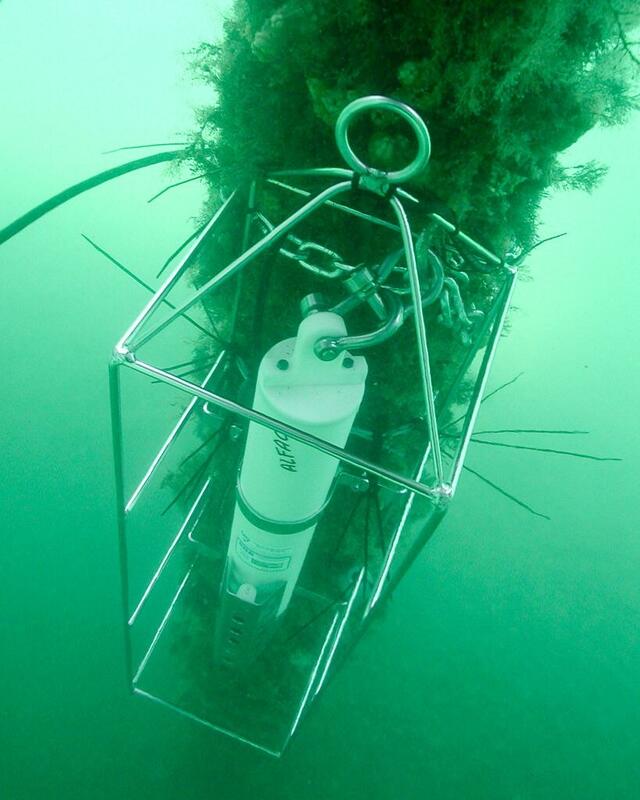 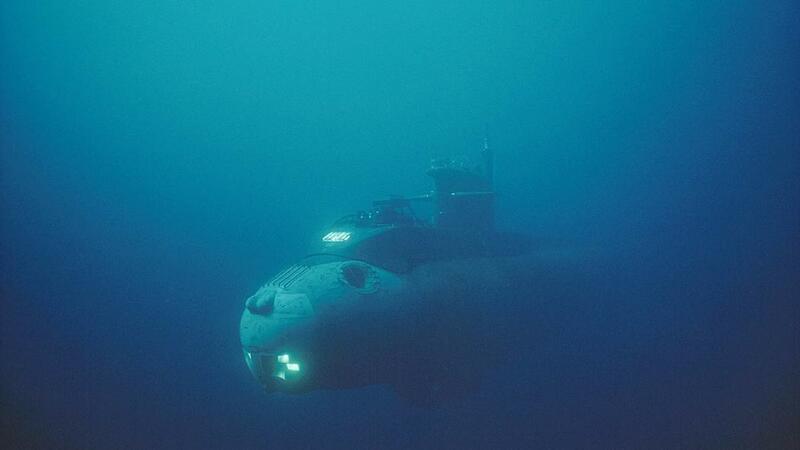 Shouldnt this sub be called submechanophilia, the love of submerged machines? 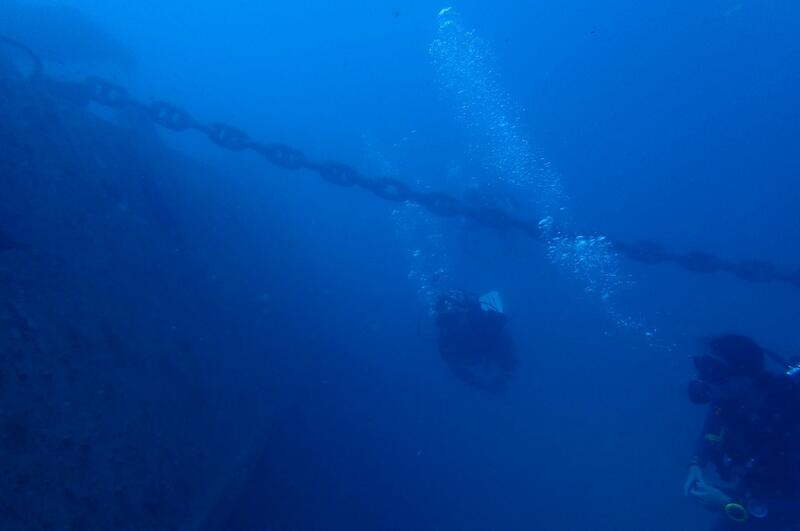 Faced my fear and went diving at a shipwreck. 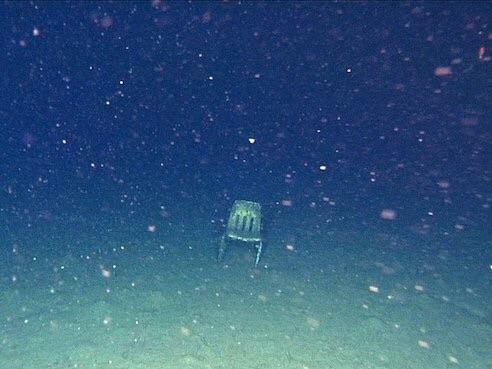 So incredibly eerie. 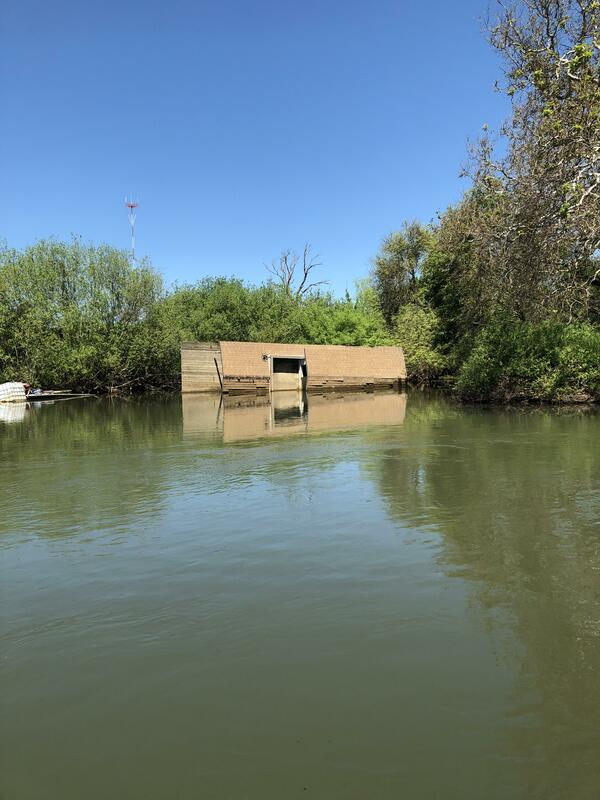 Capsized houseboat on the Mokelumne River in Sacramento. 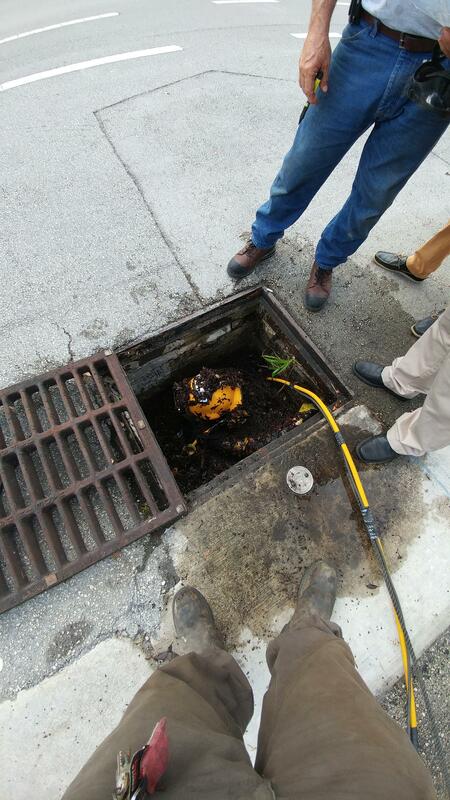 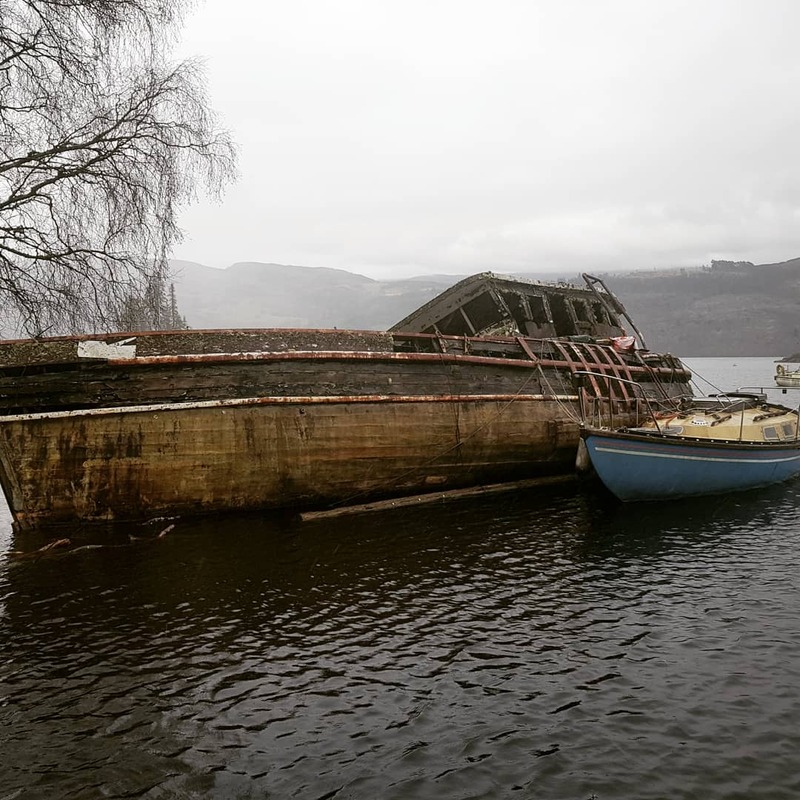 The last time I went by a few month ago it was still upright. 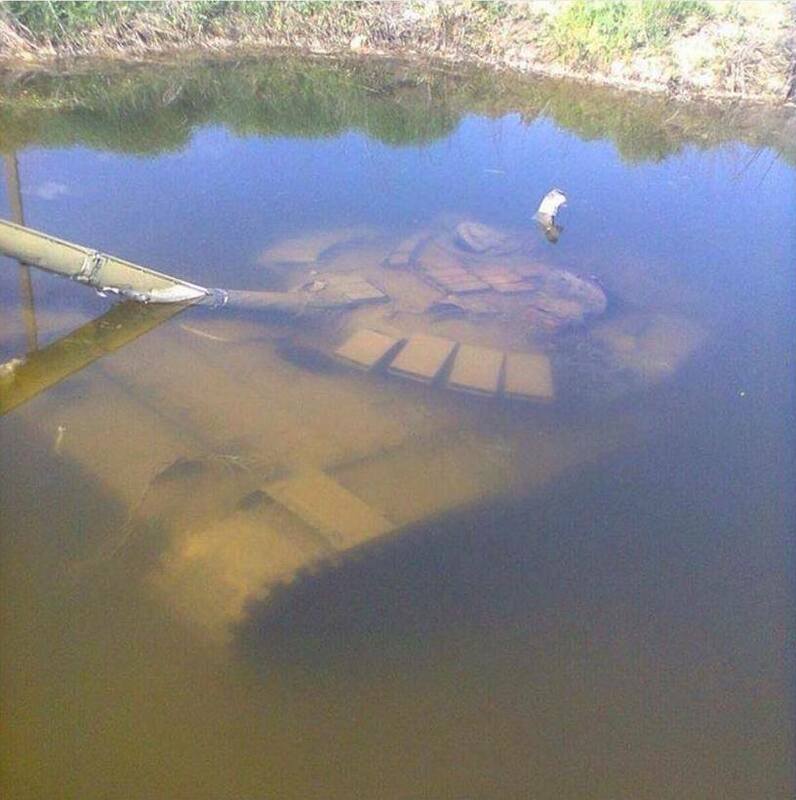 Sorry for the quality. 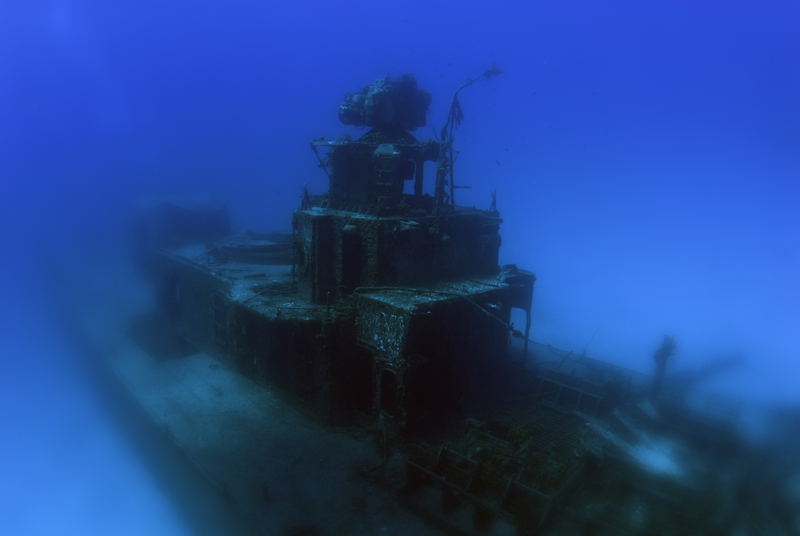 "Out of Nowhere" - the Steam Ship ALBANIEN was a merchant ship of 1120 tons, built in 1910 and owned at the time of her loss by Lloyd Austriaco. 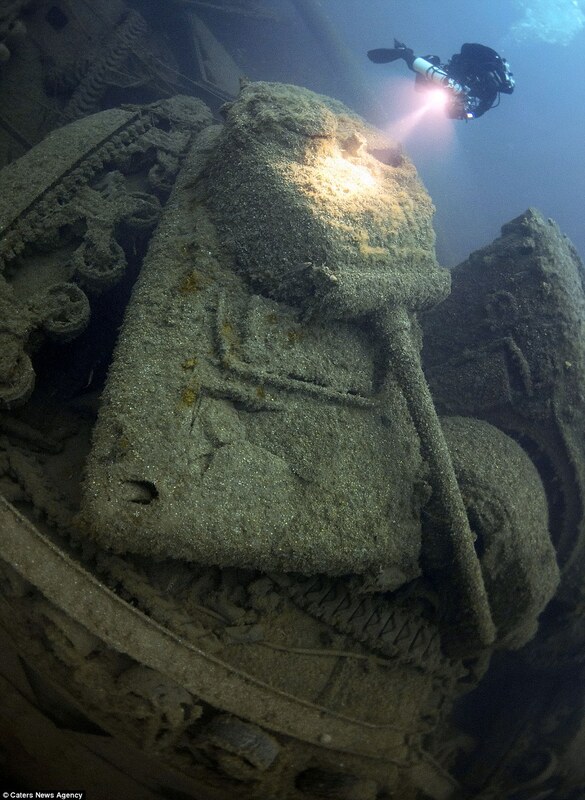 Propeller of the Austro-Hungarian battleship Szent István. 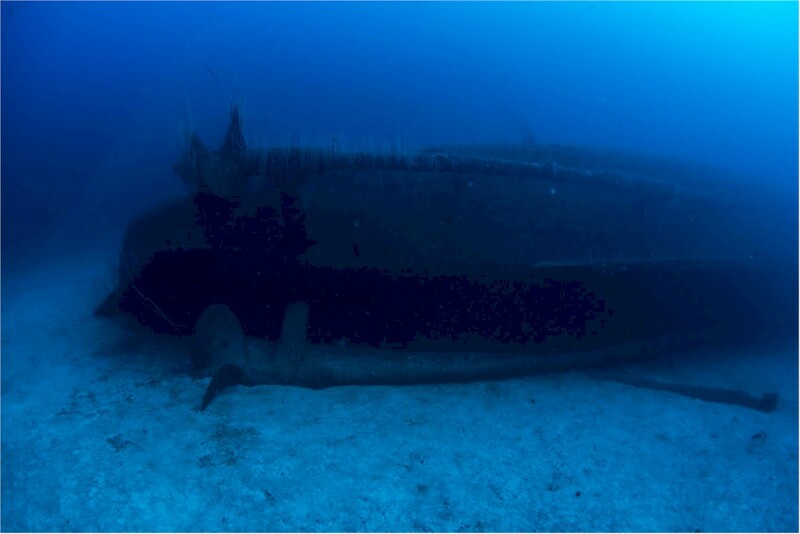 She sank after being torpedoed by Italian MAS boats on June 10th 1918. 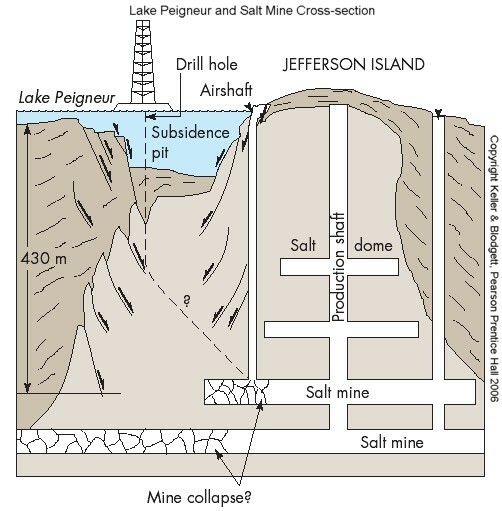 Diagram of the Lake Peigneur Disaster, check out the comments for a short podcast describing the details of how this small lake sucked multiple barges into the depths of a salt mine. 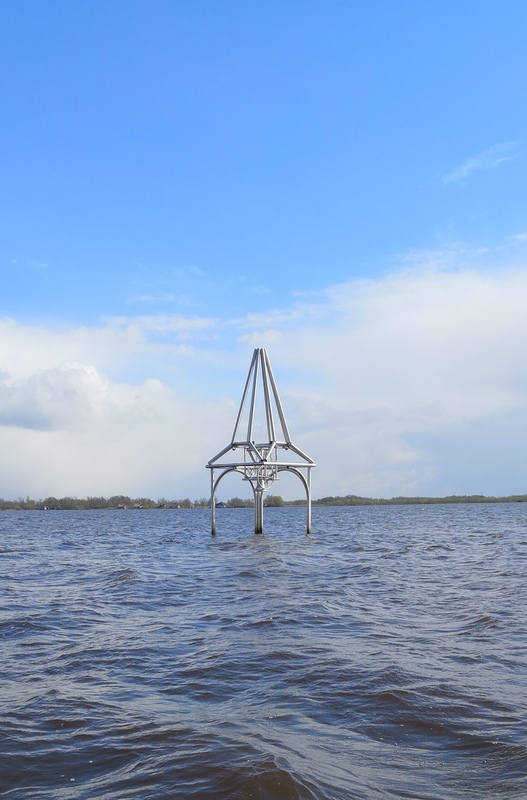 The Resia's Bell tower (Italy), the entire town were flooded (without the people in it) in 1950 (circa) for making an huge artificial lake, it's really near my town. 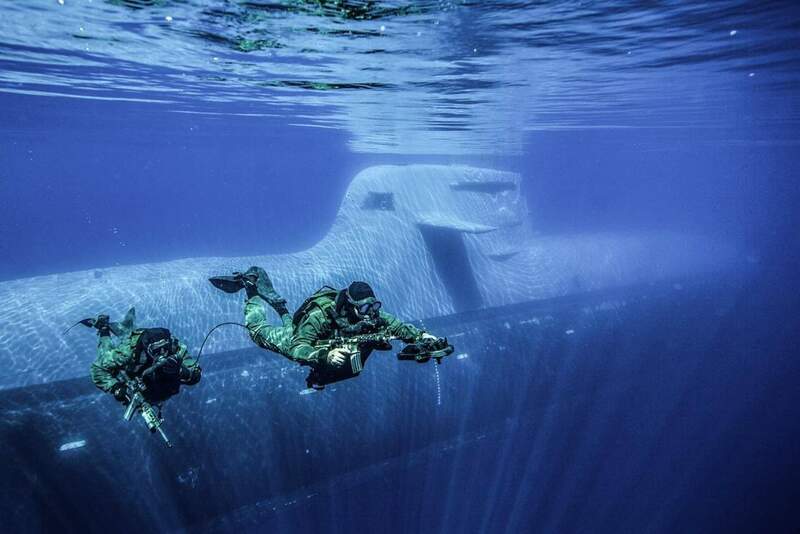 Frogmen of the Italian GOI with a Todaro-class SSK in the background. 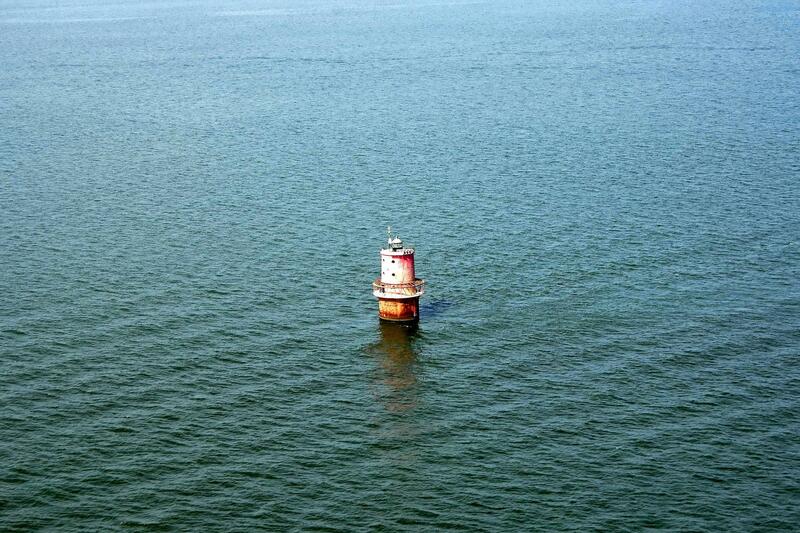 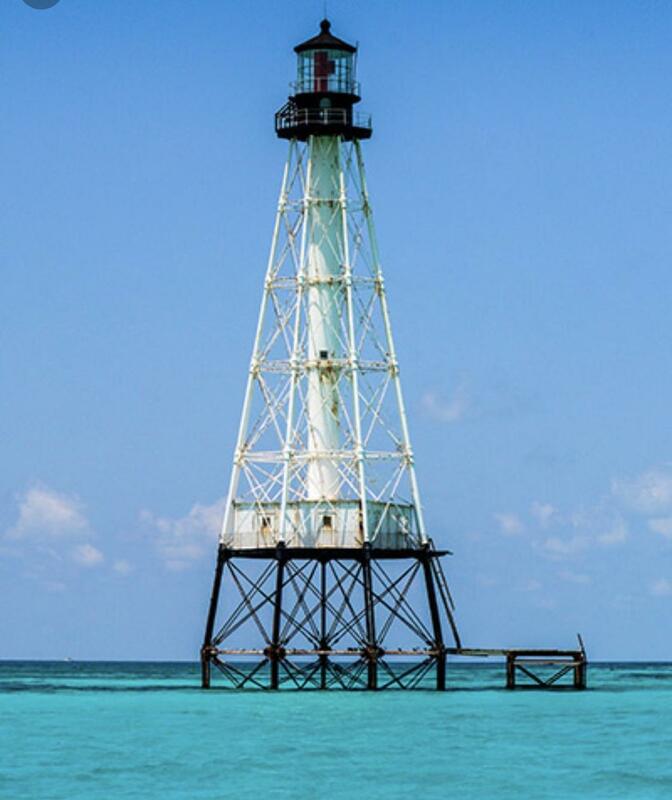 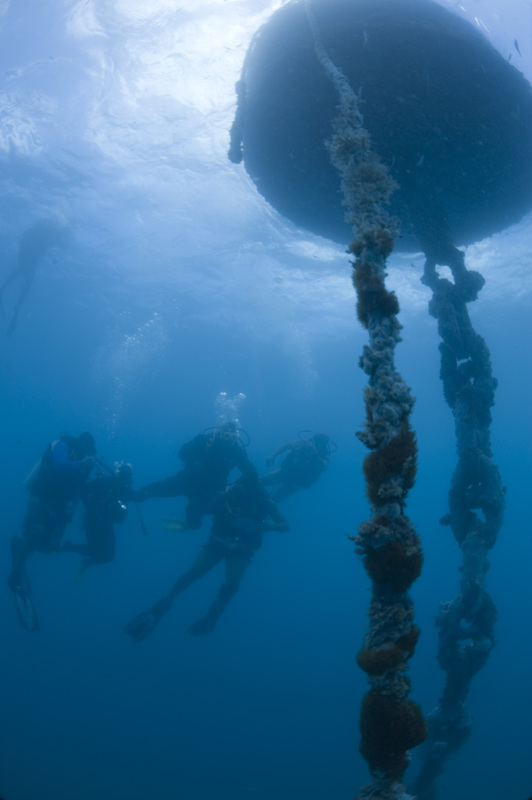 The Sombrero Reef lighthouse is 161 years old, and so rusted that you are advised not to swim next to it. 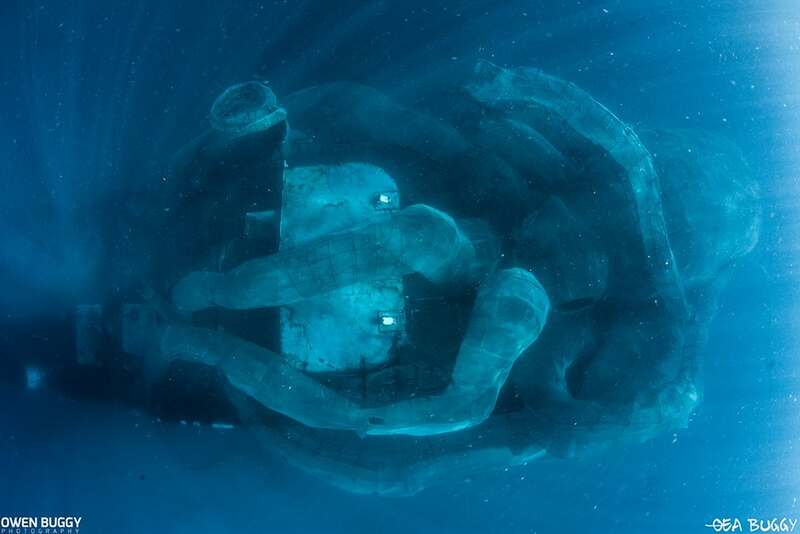 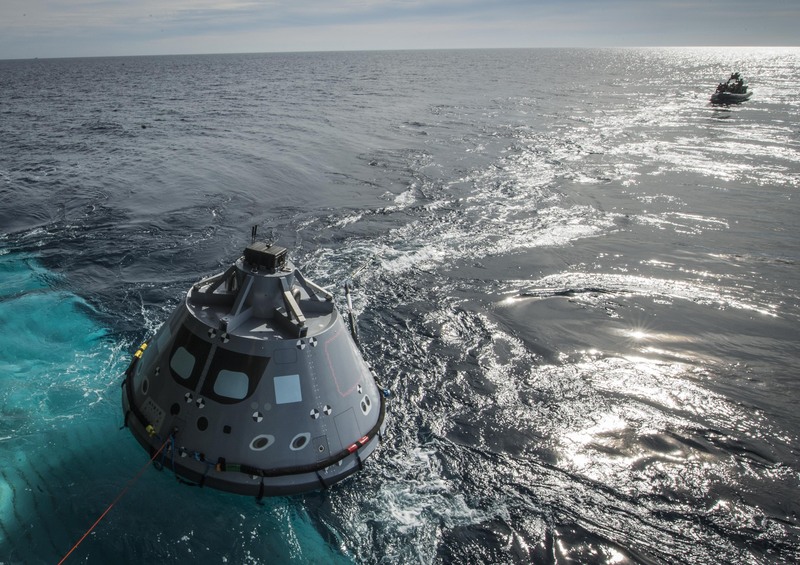 Who wants to live on the open ocean on a giant buoy? 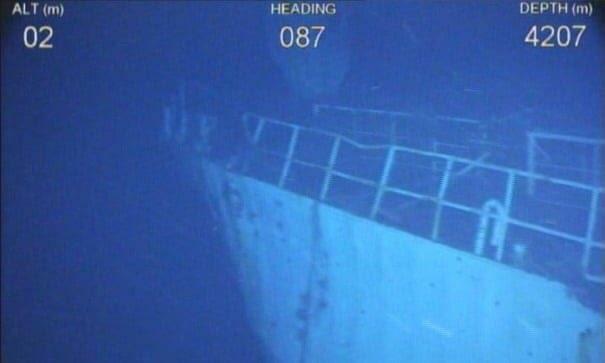 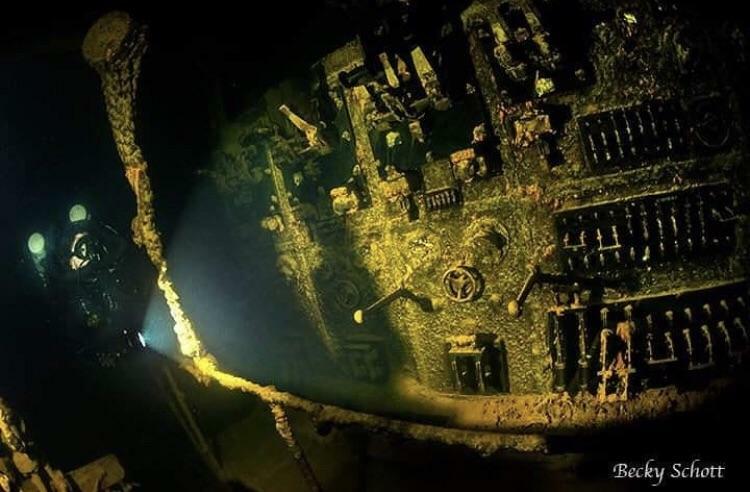 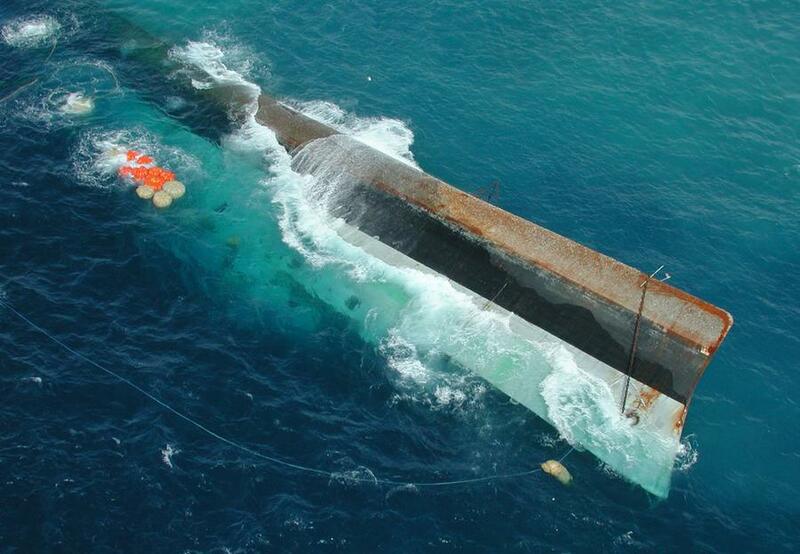 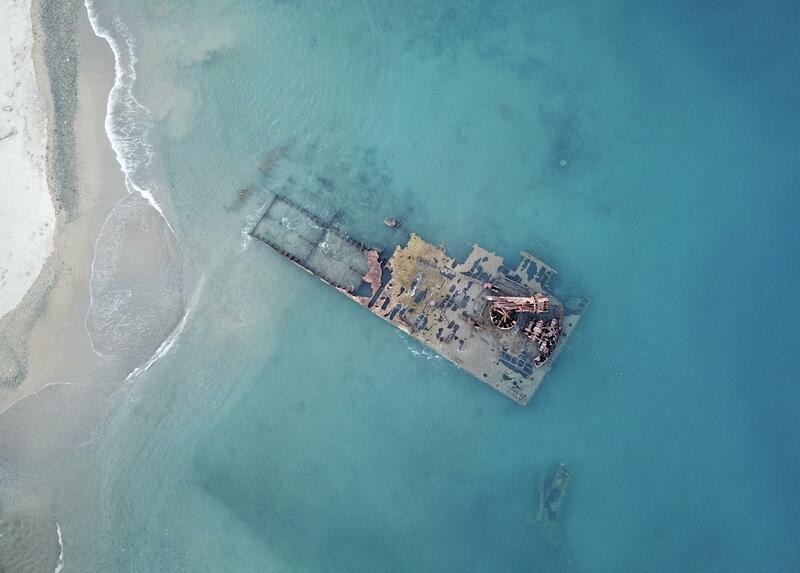 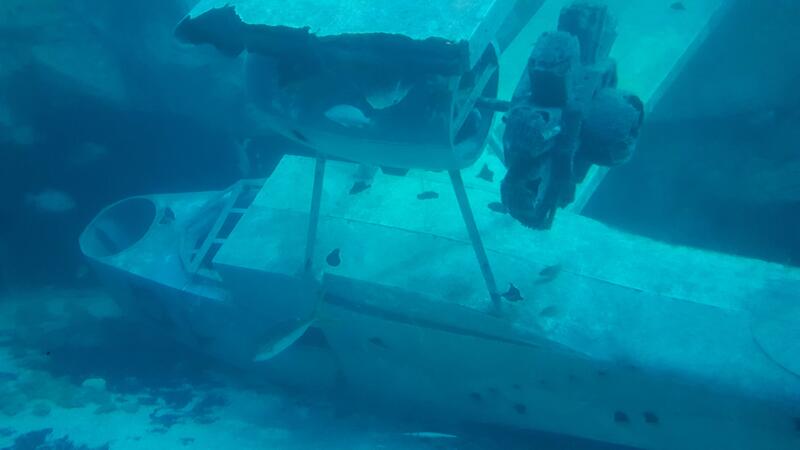 A shipwreck captured by the team searching for MH370. 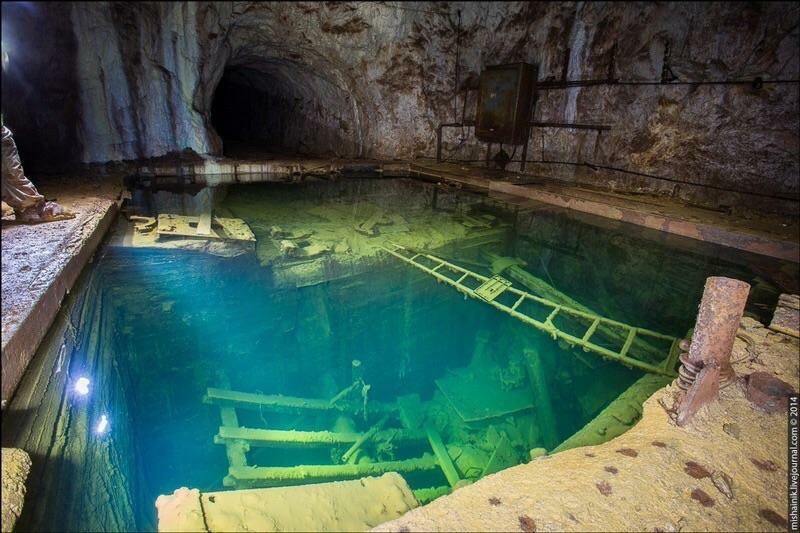 Take a look at that depth. 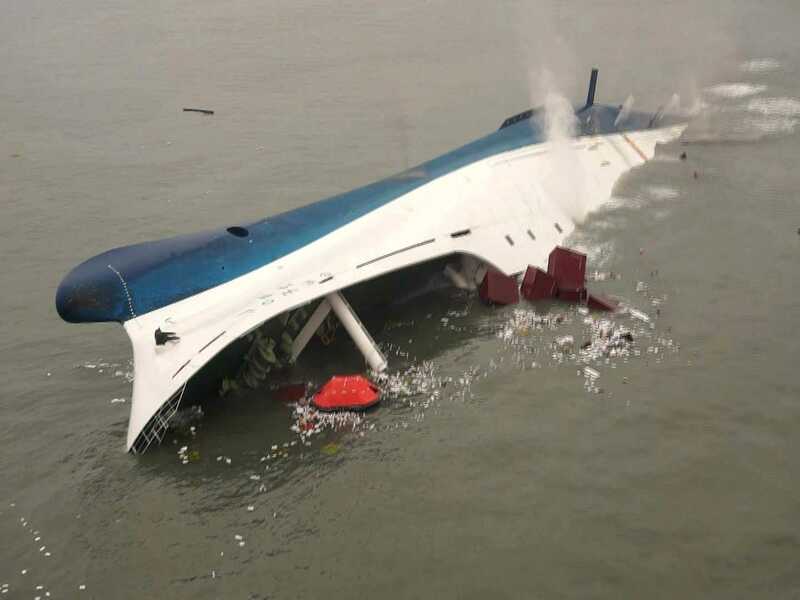 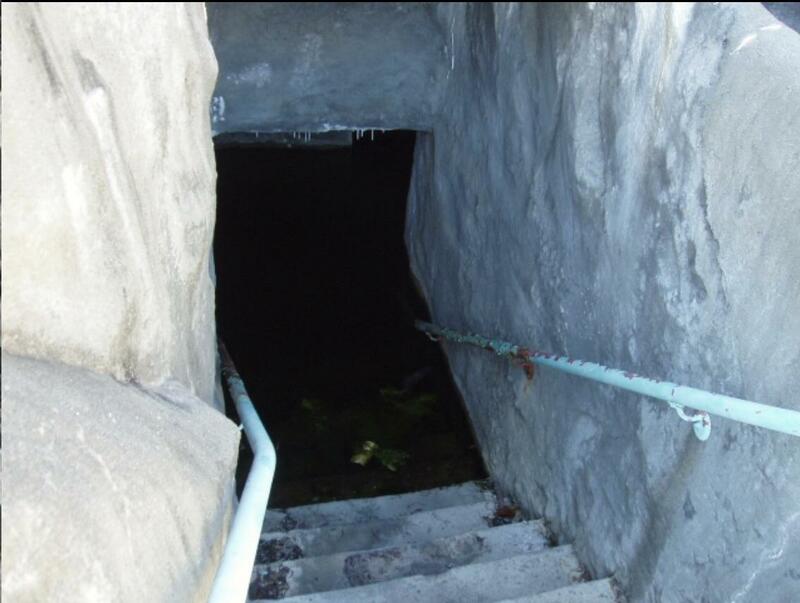 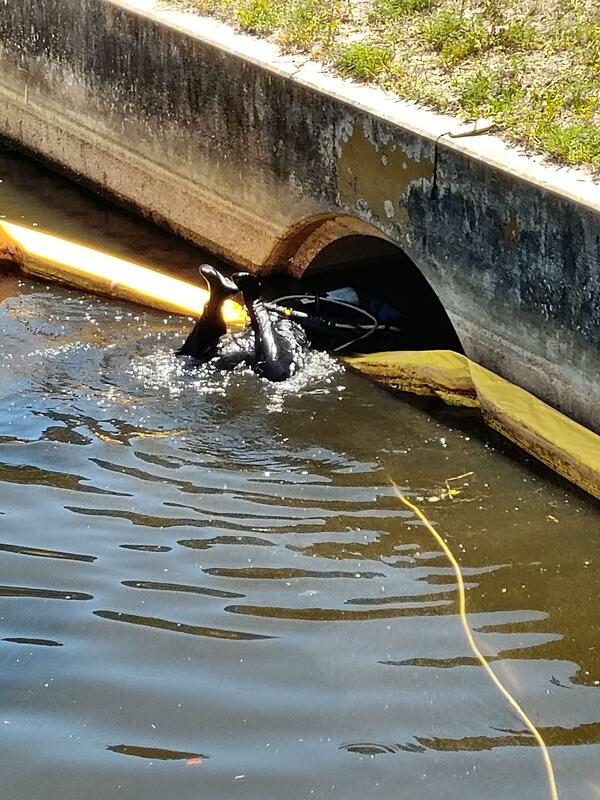 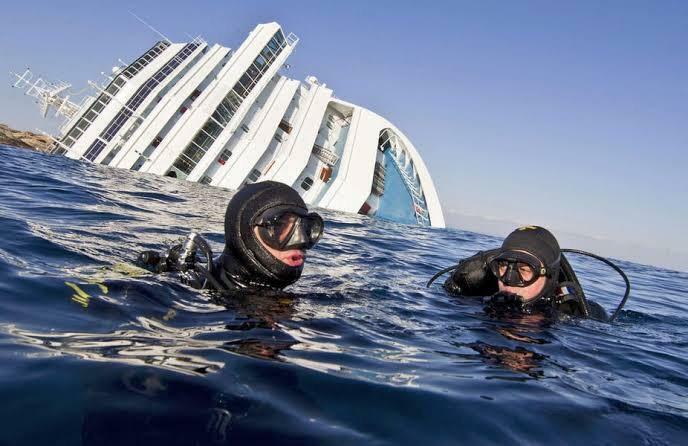 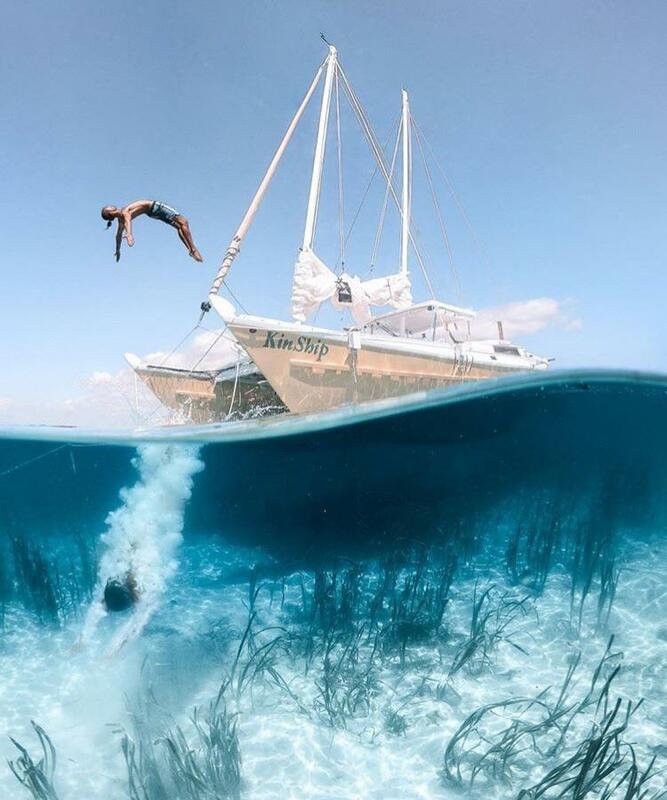 Look closely to see the ladder to the underwater. 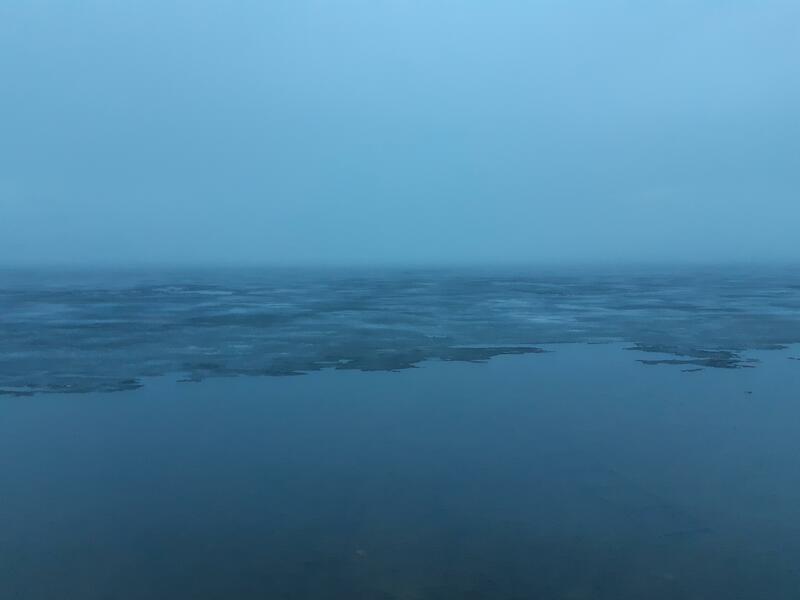 Taken after a rainstorm, Northern Ontario. 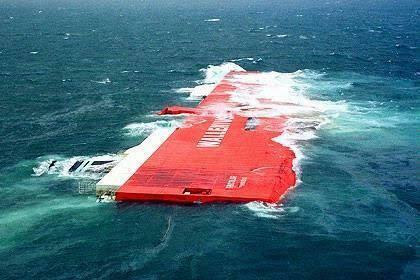 For those that get uncomfortable with oil rigs etc. 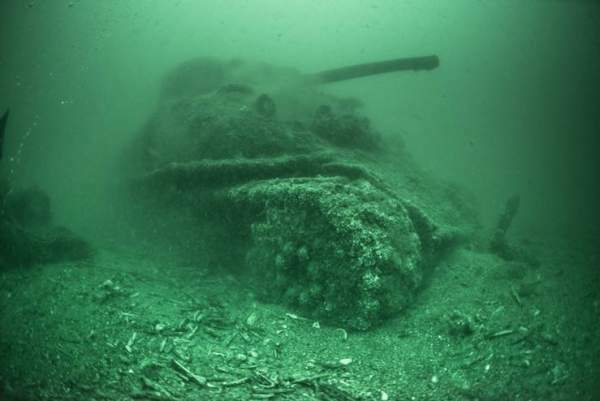 Spooky Sherman Tank lying off Omaha Beach, a tank from D-Day that didn't make it ashore. 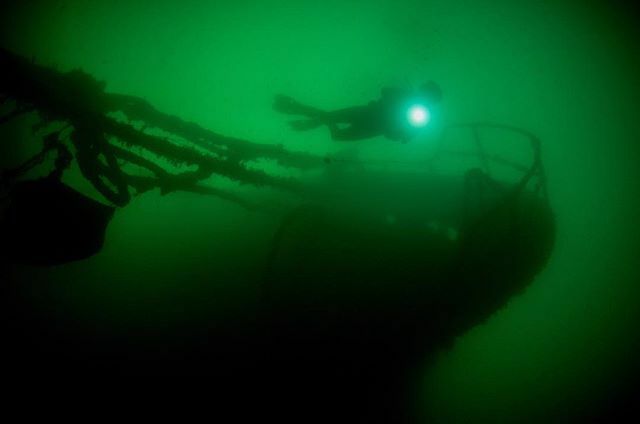 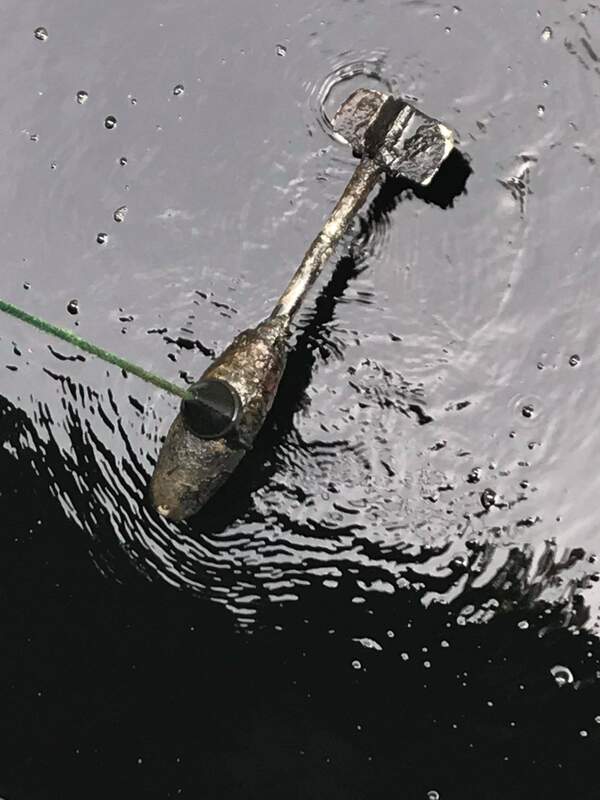 I found this magnet fishing yesterday..
Diver's light illuminate the stern windows of the wreck of the schooner-barge Emba. 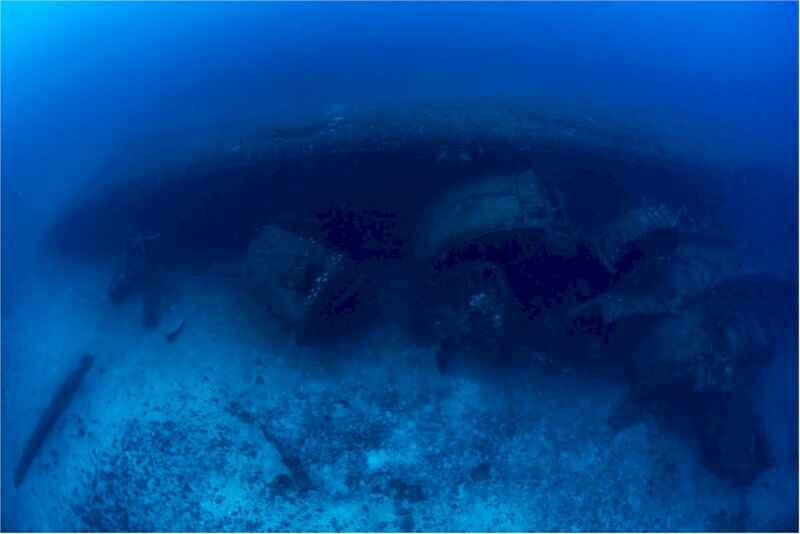 Cargo ship sunken by U-482 in 1944, ship contained M4A1 tanks fitted with the more powerful 76mm gun that could knock out tiger tanks. 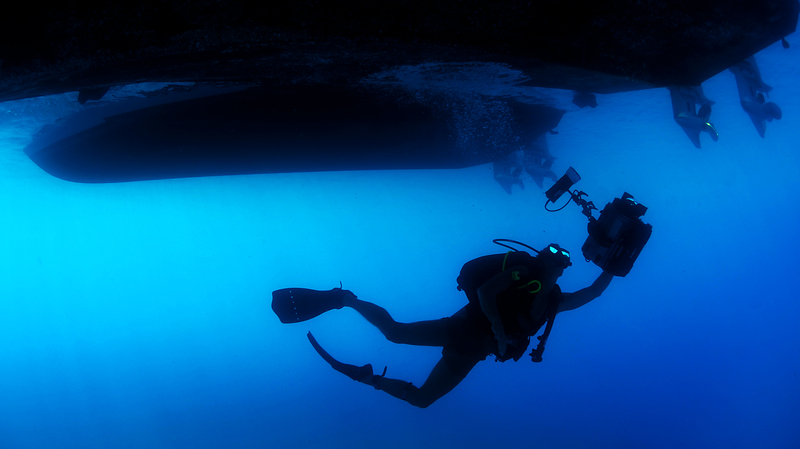 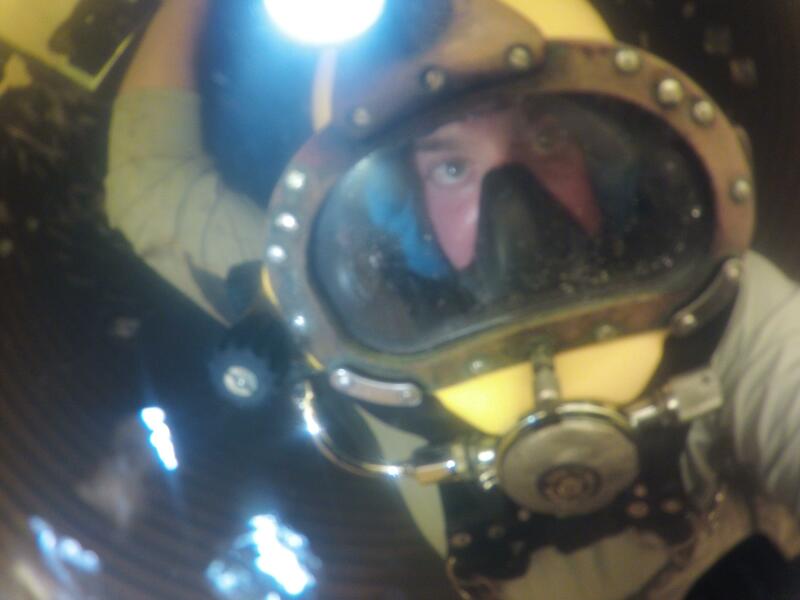 Mass Communication Specialist 1st Class Shane Tuck films diving operations off the coast of Guantanamo Bay, Cuba. 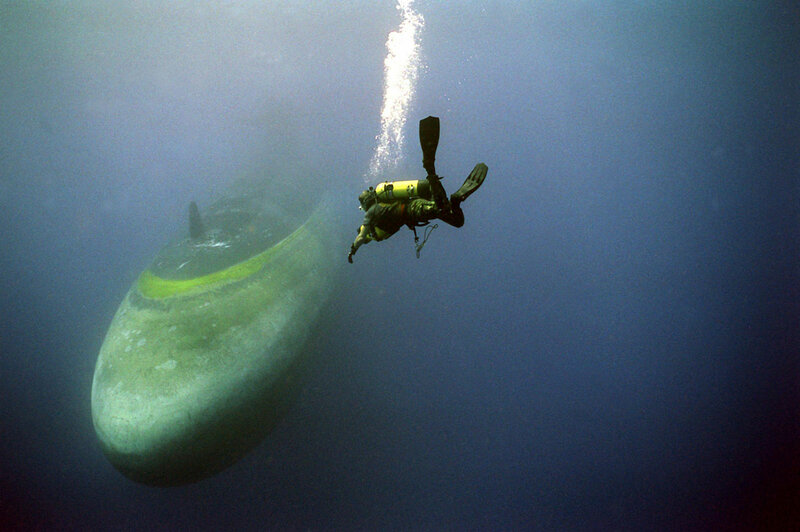 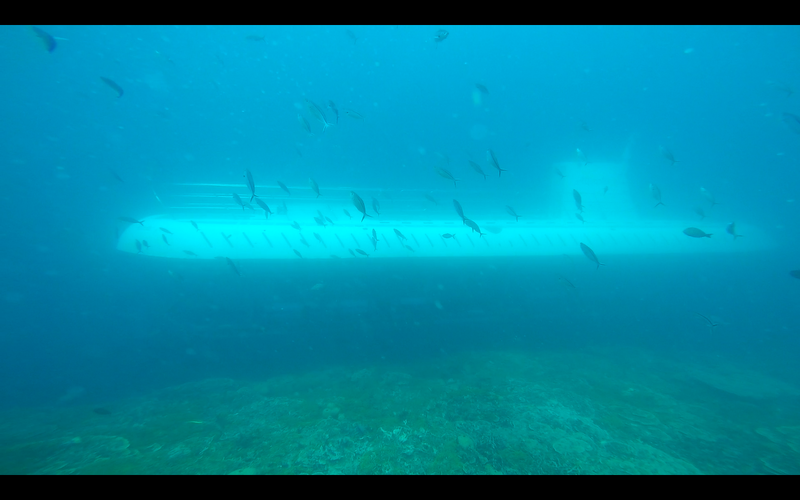 The Ultimate Terror - A Submarine Looms out of the Darkness in front of Divers. 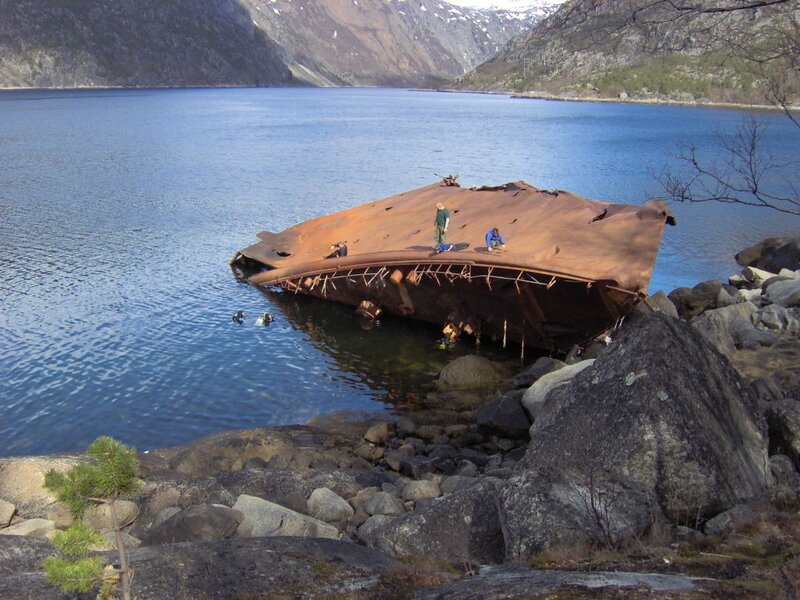 outside view of bulbous bow, torn open from impact with sea ice. 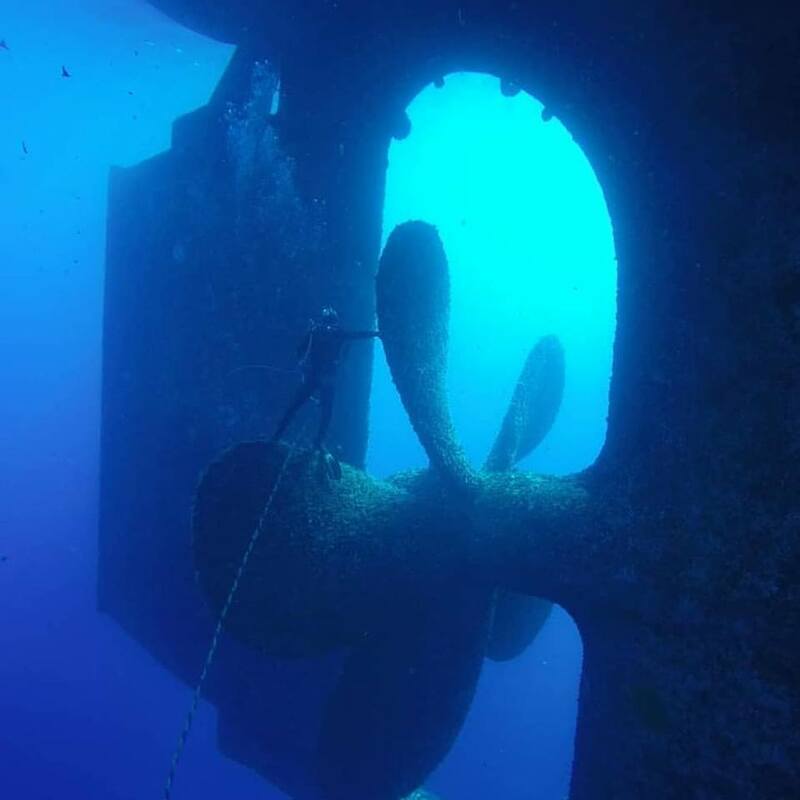 Stern and propellers of U.S. destroyer Anderson DD-411. 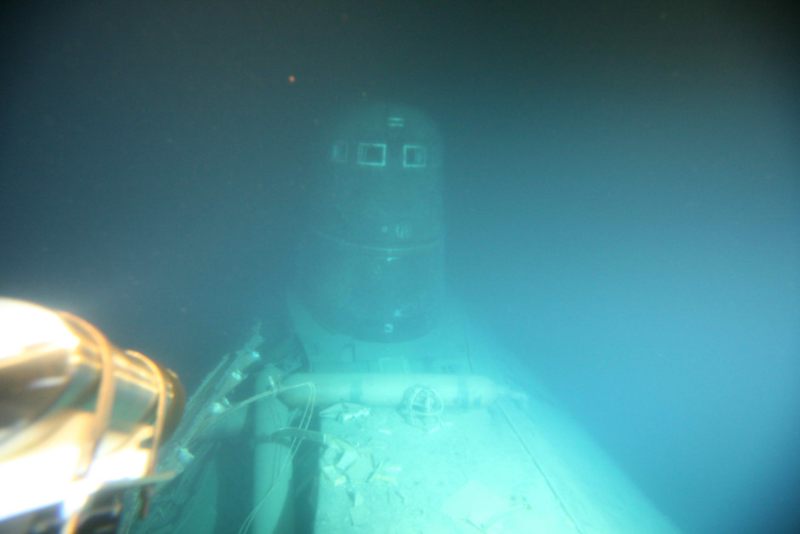 Sunk by Operation Crossroads Test Able, July 1st 1946. 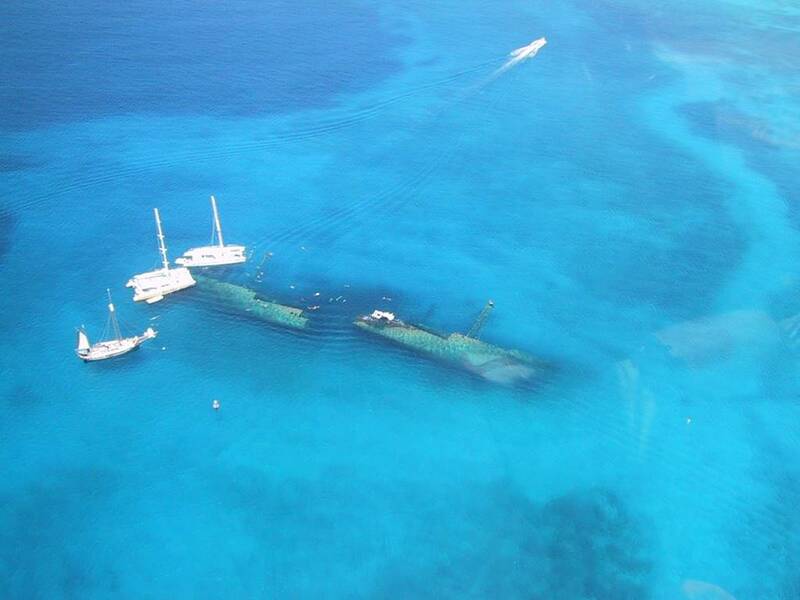 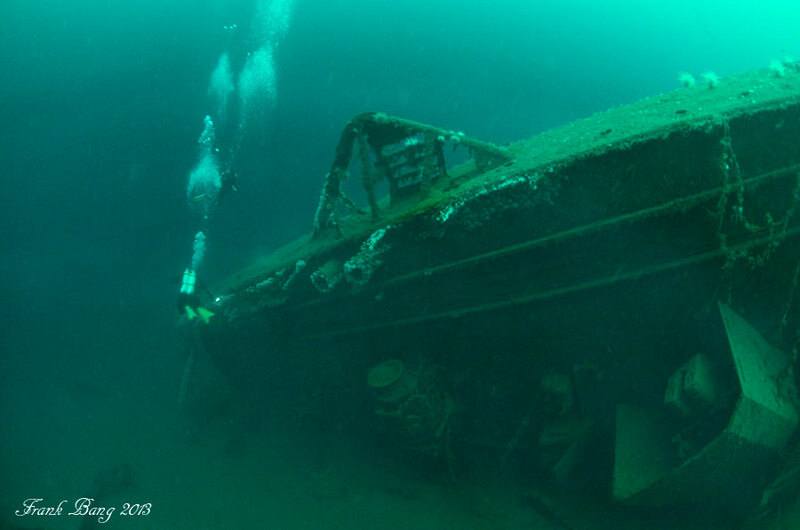 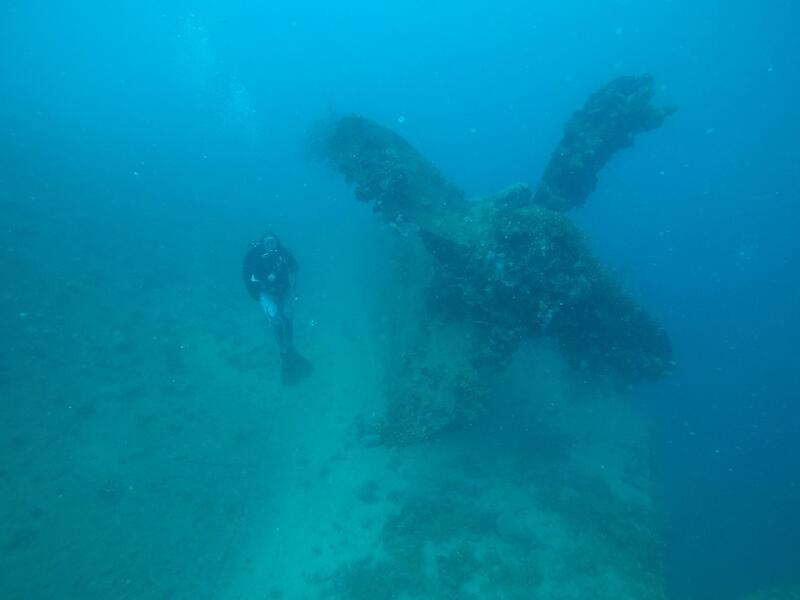 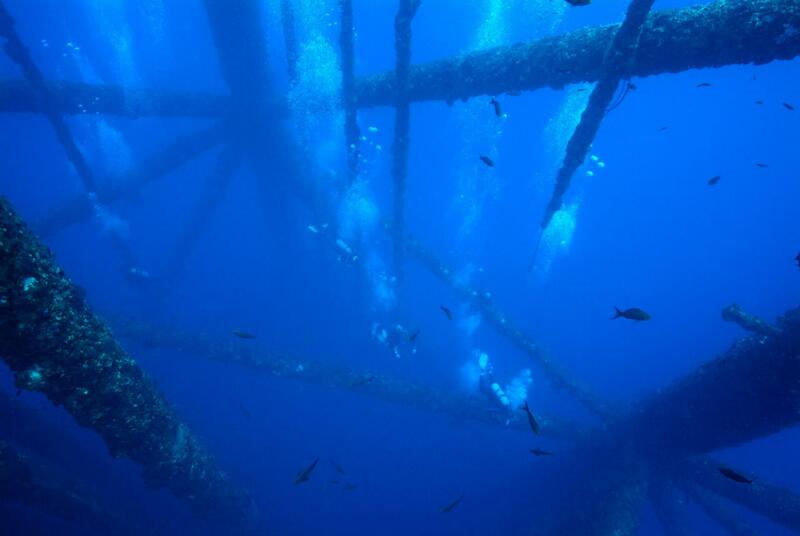 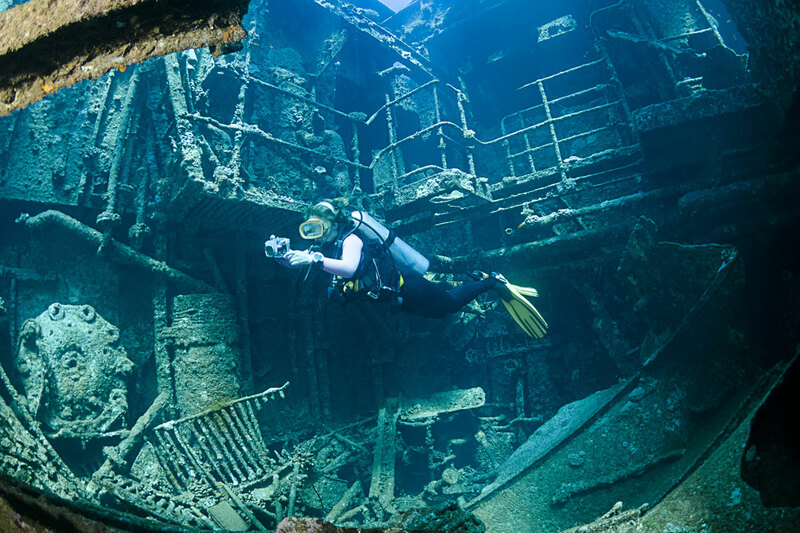 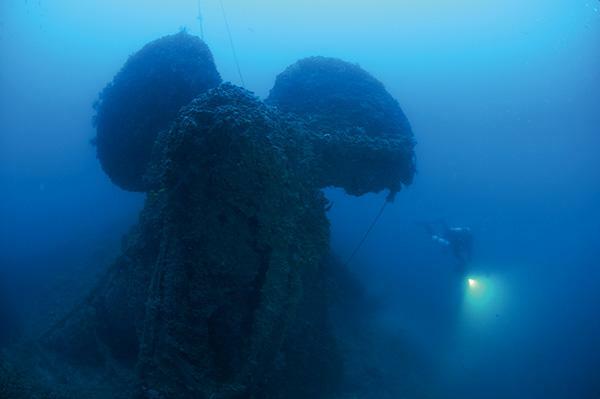 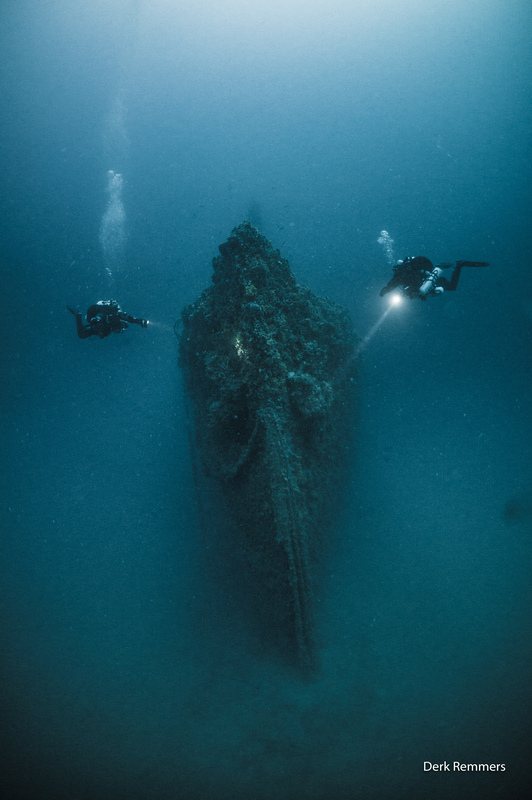 The wreck of the Daniel J. Morrell, broke in two and sank in 1966. 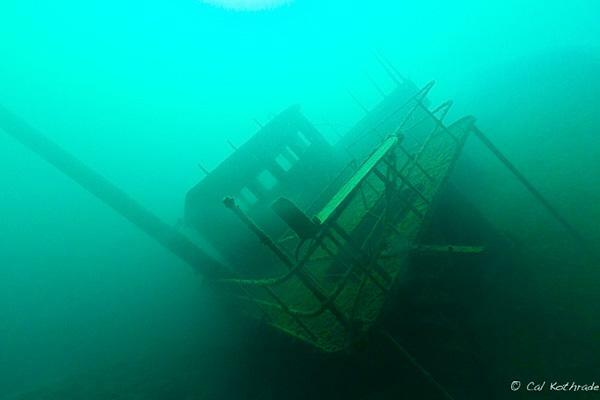 The bridge of the sunken freighter Edmund Fitzgerald. 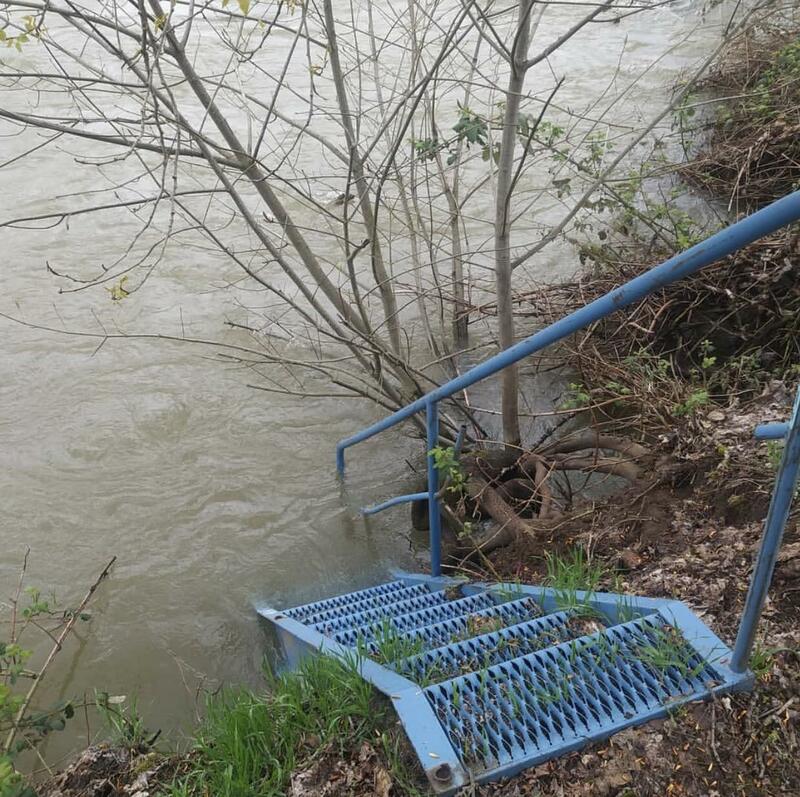 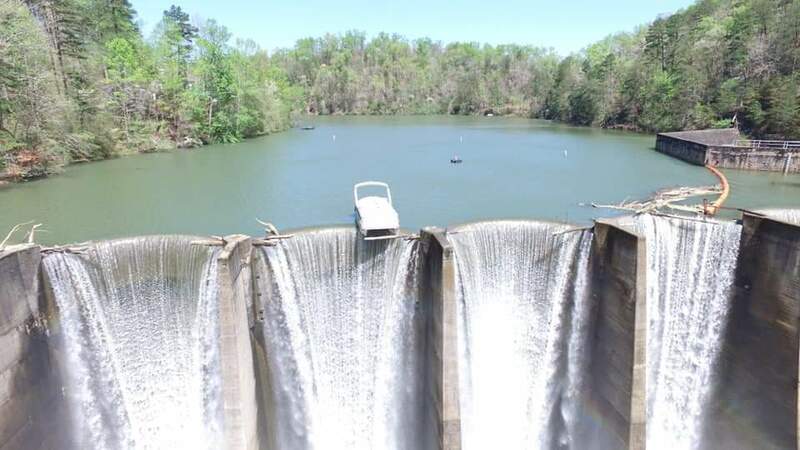 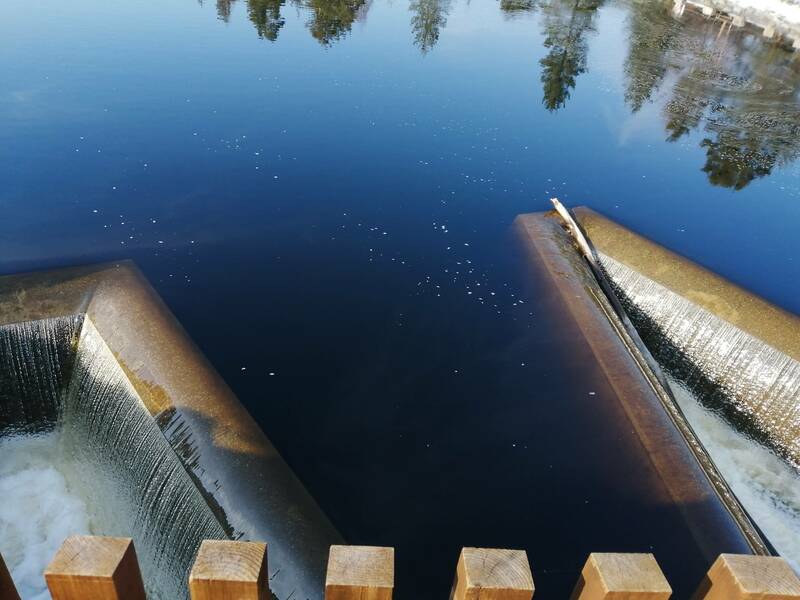 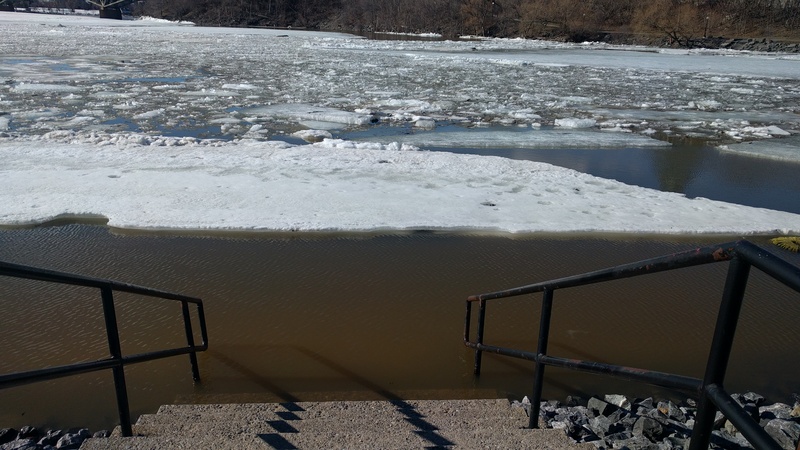 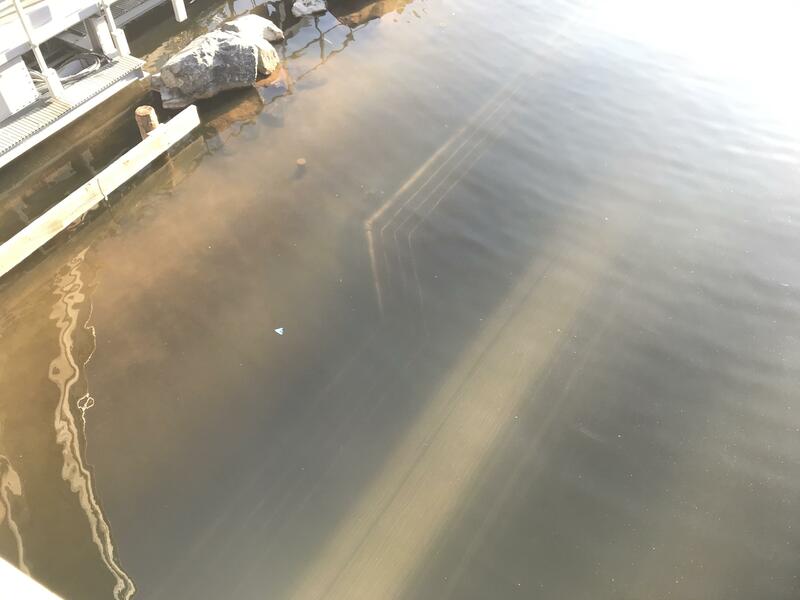 An unmanned boat drifted overnight to the edge of a dam. 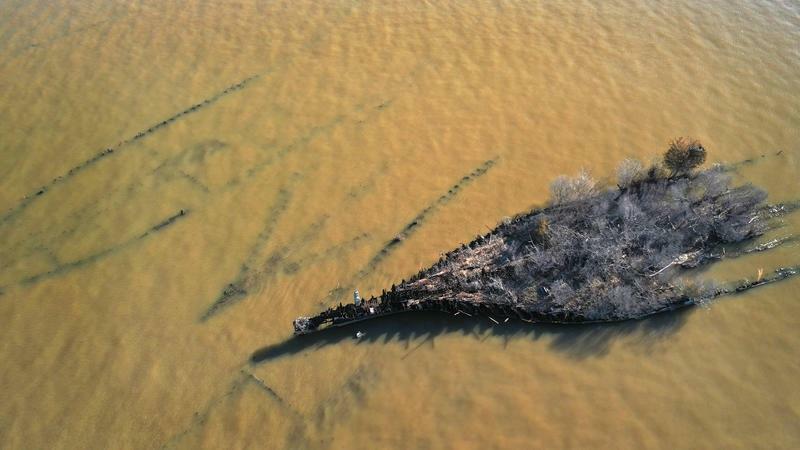 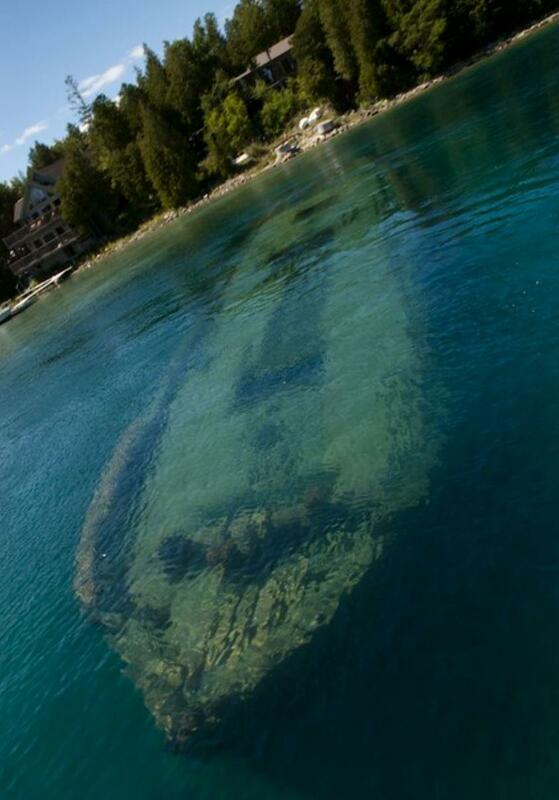 A sunken ship in Ontario, Canada. 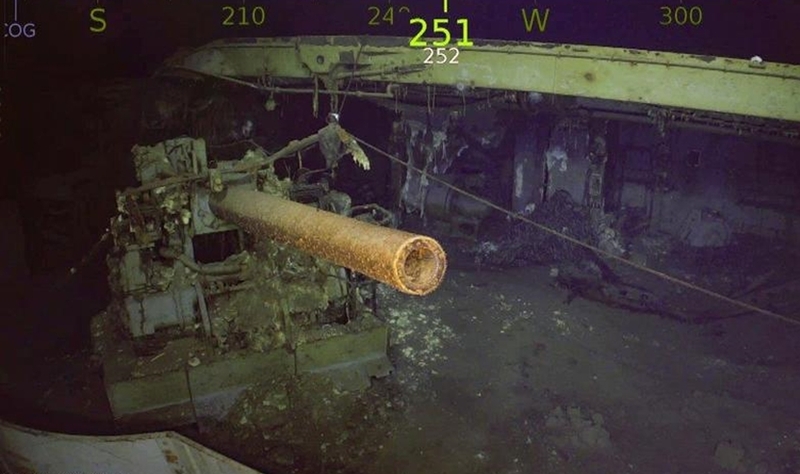 Meet Old Whitey. 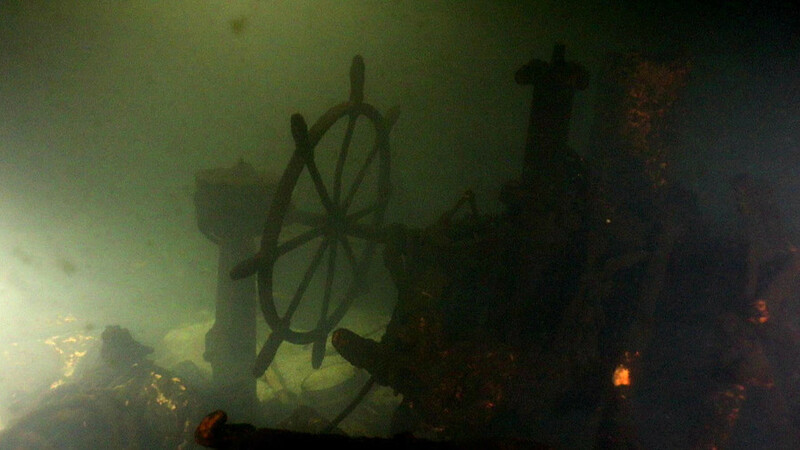 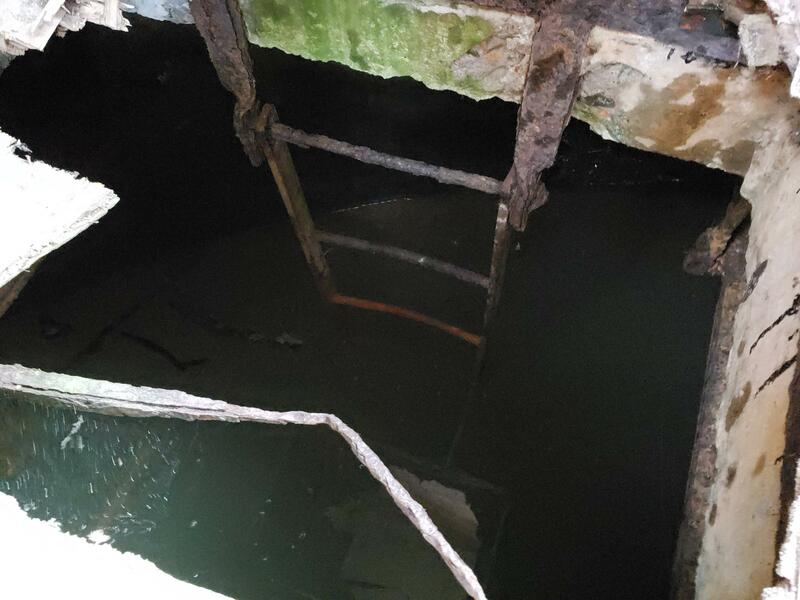 The man still trapped in the engine room of the SS Kamloops which sank in 1927.